replacing ineffective beliefs with empowering beliefs that are based on a heart connection with God. Sign up with your email address and never miss an episode! Join the thousands who have already discovered life-changing courses and have moved their boundaries! Get personally mentored throughout the year by Dr.Jim Richards. A unique personal development membership that offers year-round teaching and community. This incredible book is a combination of sound theological truths and practical application that will show you how to enter into and live in the realm called the Kingdom of God. It will lead you through how to access all of God’s resources for your every need! It will show you how to open the door to every blessing and close the door to every curse! There is only one cure for stress: the peace of God. The peace of God is more than a subjective feeling of tranquility; it is a tranquility that comes as a result of experiencing God’s divine power to meet every need in your life. In fact, the peace of God is closely related to the idea of experiencing Heaven on earth! When we enter into that place of safety and provision in God stress melts away as if we are living in Heaven now! One of God’s names indicates that He is self-revealing. In other words, no one other than God Himself has the right to present a concept of God’s character and nature, but God identified a very clear path to how we could have the perfect revelation of His identity! My Communication Goals is a concise and clear description of the four communication goals, laid out in a way that you will quickly recognize your own patterns, and then receive understanding to why you react and respond the way you do! Even better, you will have a new view of how others experience you, giving you a roadmap to your blind spots and the most common fears that motivate everything you say. The best part is, this book will make you feel validated, understood and lay out practical ways to empower you to utilize your strengths to promote unconditional love in all of your relationships. By the time you have completed our “Great Marriage Start Here”, you can expect to have a plan for life-long love: Weekly habits that nurture each other’s greatest needs and strategy to live in your personal customized fight-free-zone. Look forward to laughing together, ending painful cycles and gaining the skills to help other couples. This will be unlike anything you have ever read or heard preached about the return of Jesus. You will finally end your confusion and have a plan for the future that makes sense. Plus, with almost every chapter there are sections devoted to how we can apply the information we learned. One of the most powerful meditation exercises that can be used to experience physical health and healing. This series is an absolute must for every believer who desires to live in resurrection power! You don’t know New Testament faith until you know what happened from the cross to the throne! Salvation wasn’t finished on the cross. This isn’t just a series, this is a life renovation. You have enough faith! You have enough of everything you need. You just need to know how to get it to work for you. When you experience the power to move THIS mountain you will have the heart. You can experience an intimate relationship with the Creator of the universe! You can experience a sense of peace in your life that you've never known before. Enter into the peace that is based, not on performance, but on the righteousness. 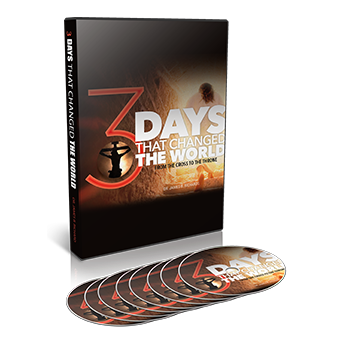 Through this innovative thirty-day program you will establish a conscious connection with Christ in you. You will gain possession of your HeartKey, which will enable you to make positive, painless, permanent, and effortless transformation.